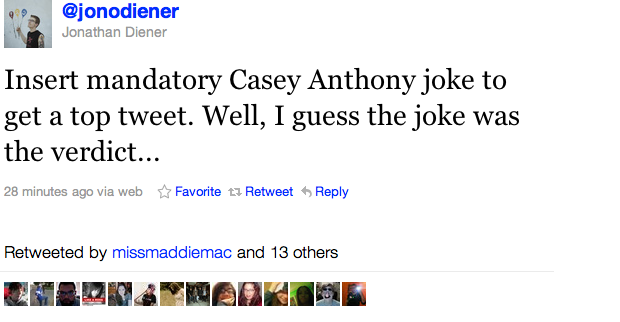 Casey Anthony has been found NOT GUILTY of murdering her daughter and it seems everyone has an opinion on the subject! Click through now to see what some of your favorite industry people had to say about this controversial decision. Click here to read an article published by The Rolling Stone which talks about how artists including U2, Rihanna, Bon Jovi, Justin Bieber and Nicki Minaj are helping to raise funds for devastation relief in Japan. Gym Class Heroes are in the process of writing their fourth album: The Papercut Chronicles 2. With 25/26 demos already completed and more on the way, they hope to enter the studio in the summer. The Swellers have completed recording their third album and are aiming for a mid-summer release date. A Day To Remember are releasing a 7″ titled All I Want featuring an acoustic version of “All I want” from their latest album What Separates Me From You as well as an etched B-side. The release date is April 16 (Record Store Day). The cover art can be viewed here. City (Comma) State have made four songs available for download. One of them “This Night That Never Ends” can be downloaded from their facebook page and the others off of their purevolume account.